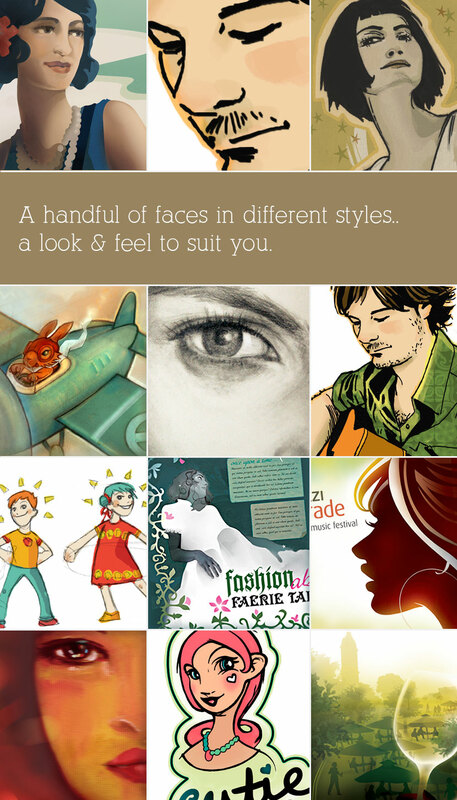 Illustrations can create a touch of elegance, humour, life, fantasy or character. Utilised in advertising, illustrated elements stand out from the crowd. As a branding solution, they can create a complete experience. Food and wine labels .. Fashion editorials .. Character designs for logos or toy development, or simply to enhance communication .. the possibilities are endless! 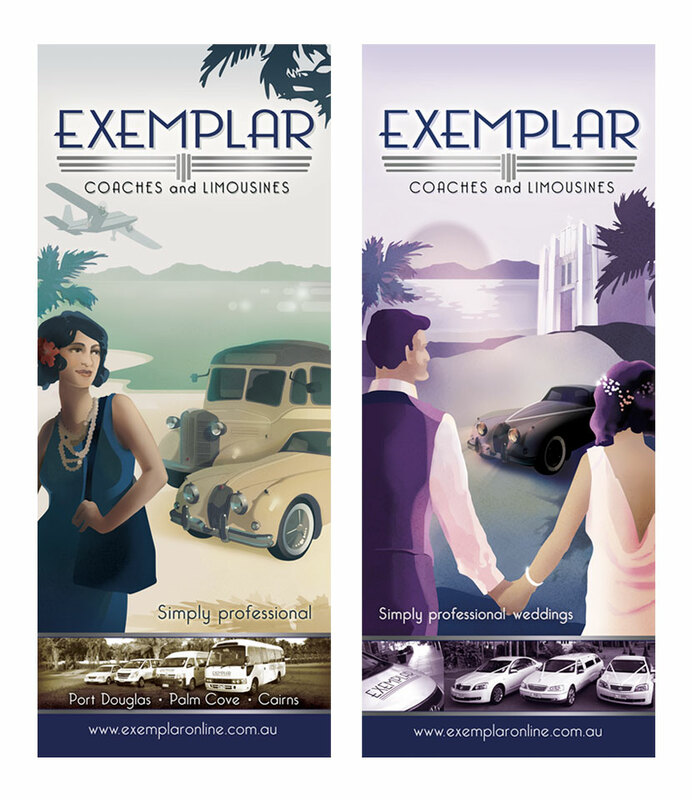 Transport customers to another time & place..
Exemplar Coaches and Limousines offer transport services in paradise. Catering to the wedding market, airport and resort transfers. Exemplar pride themselves on old fashioned service and wanted something unique to extend their branding, whilst standing out from the crowd. Illustrations were developed for a number of print applications, including larger than life banners for special events and trade shows.